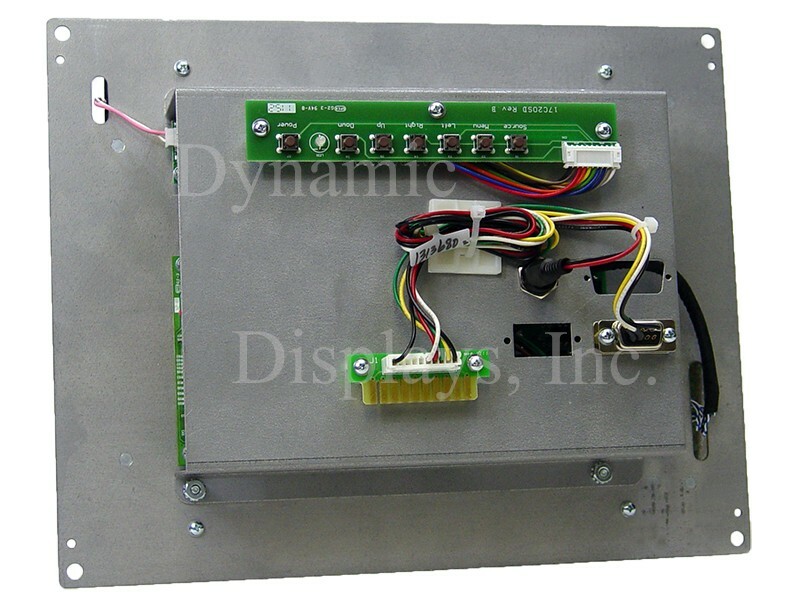 Model QES1510-027 10.4 In LCD replaces Okuma E0105-800-138-1 (Okuma E0105800138), 12 In Monochrome CRT Displays used in Okuma OSP 5020 L.
Dynamic Displays offers a cost effective 10.4” LCD monitor replacement for the E0105-800-138-1 Okuma 12” monochrome monitor used in the Okuma OSP Operating Panel 5020 LSY and Okuma OSP 5020 L.
This LCD Okuma E0105-800-138-1 replacement monitor, model QES1510-027, has a rugged steel chassis and is designed to drop into the mounting frame of the original Okuma E0105-800-138-1 12 inch monochrome CRT mounting holes. 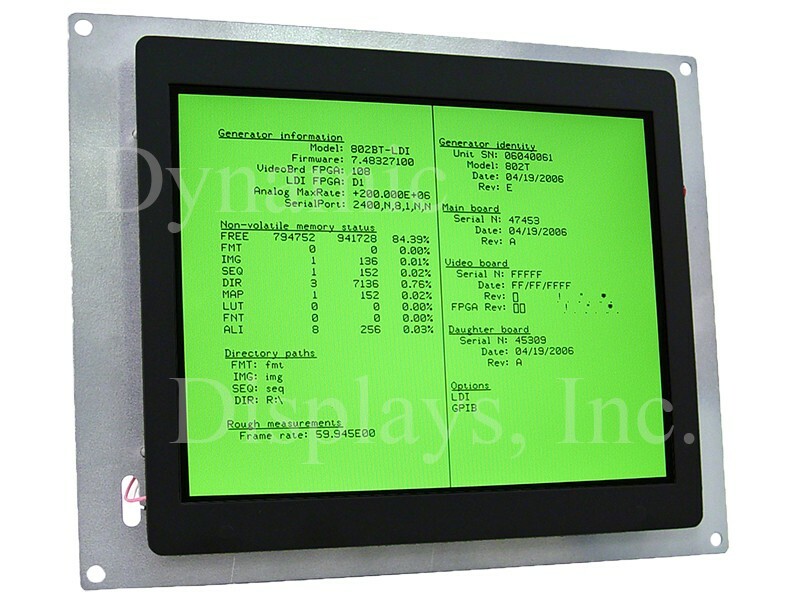 In addition, this new 10.4” LCD monitor has mating video and power input connections via the 10-pin edgecard connector with circuitry and firmware engineered specifically for plug and play in the Okuma Operator Interface OSP5020L. We guarantee it will work in your old control.